To all ex-classmates and old friends of Baru Bian in Limbang, if you would like to join him for lunch in Limbang on Thursday 29th September, please call Paul at 010 4096460 by today (Wednesday 27th September). 1. The Plaintiffs who are all Iban natives of Sarawak, headed by their longhouse Chief or Tuai Rumah Gayan anak Tupai, and 3 others brought a legal action on their own behalf, as well as on behalf of 15 other residents who claimed to be proprietors, occupiers, and claimants of Native Customary Rights (NCR) land approximately 3,308.15 acres, (“the said NCR Land”) situated at their longhouse known as Rumah Gayan, Dassey, Budu, Krian, Saratok, Sarawak, against 3 Defendants a timber licensee Vita Hill Sdn Bhd and the issuing authority, the Director of Forests, Sarawak and the State Government of Sarawak. 2. The Plaintiffs claimed that on or about the 13th day of June 2006, without the knowledge and/or consent of the Plaintiffs, the Director of Forests Sarawak, the 2nd Defendant had issued out to the Vita Hill Sdn Bhd, the 1st Defendant a Timber Licence No. T/3456, (“the said Timber Licence”), which area includes or overlaps onto the Plaintiffs’ said NCR Land. The Plaintiffs had proven in the trial that the 1st Defendant and/or their servants or agents had constructed timber roads or feeder roads on the Plaintiffs’ said NCR Land and therefore trespassing thereon causing extensive damages. 3. The Plaintiffs amongst other things also claimed that there was no extinguishment of the Plaintiffs’ NCR within the land covered by the said Timber Licence before the same was issued to the 1st Defendant and/or no provision as to compensation in accordance with the Land Code of Sarawak, Forest Ordinance Sarawak and the Federal Constitution was ever made or paid to the Plaintiffs. Therefore alienation of the said Timber Licence is unlawful, unconstitutional, and improper and therefore the Plaintiffs said that the issuance of the Timber Licence was null and void. Further, the Plaintiffs argued that the said Timber Licence is subject to their NCR and therefore their NCR should prevail over the said Timber Licence. i. A Declaration that the Plaintiffs had acquired and/or inherited Native title and/or Native Customary Rights (NCR) and/or usufructuary rights over the said NCR Land as claimed by the Plaintiffs referred to and/or shaded in light Brown and marked in the locality map marked as exhibit “M” and annexed to their Statement of Claim. ii. A Declaration that the 1st Defendant and/or their servants or agents had trespassed upon the said NCR Land of the Plaintiffs. iii. A Declaration that the said Timber Licence T/3456, is subject to the Plaintiffs said Native title and/or Native Customary Rights (NCR) and/or usufructuary rights over the said NCR Land. iv. As a consequence order the area under the said Timber Licence No. T/3456, be rectified to exclude the area claimed by the Plaintiffs as their native title and/or native customary rights and/or usufructuary rights land. v. An injunction restraining the 1st Defendant and/or its employees, servants and/or agents from trespassing, clearing, using or occupying the Plaintiffs’ said NCR Land. vi. An order that the Plaintiffs be given vacant possession of their said NCR Land and the 1st Defendant and/or its employees, servants and/or agents to cease operations and remove all structures and their equipments or machineries from the Plaintiffs’ said NCR Land forthwith. vii. That the damages suffered by the Plaintiffs be assessed by the Senior Assistant Registrar of the High Court. 5. It is interesting to note that the Plaintiffs went back into their history to prove their case. They claimed that they are the 5th generation of Ibans who occupied the said NCR Land since the time of their ancestors Luyoh Anak Rekan when Sarawak was still under the control of the Brunei Sultanate. Some documentary proofs like Occupation Tickets issued in the 1930s to some of the Plaintiffs and their parents were evidences of legal occupation. More recent proofs were the fact that the Plaintiffs were compensated by the State Government due to the construction of a public road in 2001 across their NCR Land. 6. The Plaintiffs were represented by their Counsel Mr. Baru Bian of Messrs Baru Bian Advocates & Solicitors, Kuching, the 1st Defendant Vita Hill Sdn Bhd by Puan Siti Norashidah Binti Dollah of Messrs Huang & Co., Sibu, and the 2nd and 3rd Defendants, who are the Director of Forests Sarawak and State Government of Sarawak respectively were represented by legal Officer Encik Joseph Chioh Hock Hua. 7. We welcome this judgment and hope that it would inspire others to fight on to defend their NCR over land in Sarawak, notwithstanding the possibility that the Government of Sarawak may yet appeal against another judgment favouring the natives of Sarawak as in other cases won before this. If indeed the State Government and her present political leaders are true to their words of respecting NCR over land in Sarawak and the Court’s judgments as such as this, they should not appeal against this judgment. 8. On the other hand, I wish to urge the natives of Sarawak to think really hard of taking the alternative and most effective means of resolving this NCR land issues vis-à-vis logging companies, plantation companies, quarry licencees and dams constructions which had driven them to squatters and illegal occupiers status upon their own NCR land by voting for Pakatan Rakyat in the next General Election. This is because only a Pakatan Rakyat Government at the Federal and State level could understand the plight of the natives in Sarawak over their NCR land issues and has the political will to resolve it. (OTTAWA, CANADA) Only days after the German government announced a money-laundering investigation into Deutsche Bank over its close ties with the Malaysian Taib family, Sarawak potentate Abdul Taib Mahmud ("Taib") might be facing difficulties from yet another Western government. In July 2011, the Swiss Bruno Manser Fund alerted the Canadian government about suspected money laundering activities of the Taib-family-founded Sakto Corporation, an Ottawa-based property developer. Sakto owns and administers properties in Ottawa, Ontario, estimated to be worth well over 100 million US dollars. Sakto is also the center of a Taib family-linked property empire with significant holdings in the United Kingdom, the United States and Australia. In a letter sent to Prime Minister Stephen Harper, the Bruno Manser Fund asked the Canadian government to launch a formal investigation into Sakto and various Taib family members over suspected money laundering. A copy of the letter was sent to a number of cabinet ministers, Canada’s money-laundering authority, FINTRAC, and William Elliott, the Commissioner of the Royal Canadian Mounted Police. The Bruno Manser Fund can confirm that our letter aroused great interest amongst the Canadian government and was brought to the attention of several top politicians, including the Minister of Finance, James M. Flaherty, the person who is ultimately responsible for money-laundering issues. Department of Justice: Money launderers will be "prosecuted and incarcerated"
"You may be interested to know that the RCMP (Royal Canadian Mounted Police)’s Integrated Market Enforcement Team is a group of highly acknowledged specialized investigators that are dedicated to ensuring that those who commit serious capital markets fraud offences will be discovered, investigated, prosecuted, and incarcerated in an effective and timely fashion", a top executive of Canada’s Department of Justice told the Bruno Manser Fund. However, Canada’s federal police refused to disclose if Sakto Corporation and the Taib family were under investigation: "The RCMP does not normally confirm or deny the existence of any criminal investigation", Chief Superintendent and Criminal Operations Officer Serge Therriault from the RCMP’s "A" Division stated to the BMF. The "A" Division is an international anti-corruption unit that focuses on detecting and investigating bribery, embezzlement and money laundering. "These types of investigations are conducted confidentially to protect evidence, international partnerships and reputations. A public statement is not issued identifying suspects until the matter is one of public record." The high-ranking Canadian police officer added that the Royal Canadian Mounted Police (RCMP) "respects the efforts the Bruno Manser Fund has undertaken with regard to the depletion of tropical forests and the plight of indigenous peoples". Sakto was founded in 1983 by Onn Mahmud, the brother of Sarawak Chief Minister Abdul Taib Mahmud, together with two of Taib’s college-aged children. Today, Sakto is run by Taib’s daughter, Jamilah Taib, and his Canadian son-in-law, Sean Murray. Due to a peculiarity of the Canadian business legislation, the shareholders of Sakto are allowed to remain anonymous, but it is heavily suspected that the corporation is entirely controlled by the Taib family. Sakto’s sole directors are Jamilah Taib and Sean Murray, who got married in 1987 after having met during Jamilah’s studies of business management at Ottawa’s Carleton University. In 2001, Jamilah and Sean took control of the UK-based Ridgeford Properties that had previously been held by a British Virgin Island-based offshore outfit. Ridgeford Properties, a wholly-owned subsidiary of Jamilah and Sean’s City Gate International Corporation, holds luxury properties in central London worth dozens of millions of pound sterling. In 2006, Jamilah and Sean added the California-based Sakti International Corporation and the Washington-based Wallysons Inc, which owns the FBI building in Seattle, to their property empire. Those companies had previously been administered by US national Ross Boyert who died last year under worrying circumstances. Boyert, who had been sacked by the Taibs and outmaneuvered by Taib’s son-in-law, Sean Murray, claimed he had been systematically harassed ever since he had filed a legal case against his former employers. Weeks before his death, an unusual case of suspected suicide, Boyert handed a number of sensitive documents to the whistleblower website Sarawak Report. The documents showed that the Sarawak Chief Minister, Abdul Taib Mahmud, was the ultimate beneficial owner of Sakti International and that Taib’s relatives were holding the majority of shares on behalf of the corrupt politician himself. Sakto director Jamilah Taib is also a major shareholder of Cahya Mata Sarawak (CMS), Sarawak’s largest private company, which has made corruption the core element of its business strategy. CMS, which is controlled by the Taib family, lives to a large extent off non-publicly tendered government contracts, which are being awarded by the Sarawak Chief Minister to his family members. Deutsche Bank’s close business ties with CMS may have contributed to the German government’s decision to investigate the bank’s ties with the Taib family from a money-laundering legislation compliance perspective. In June 2011, the Malaysian Anti Corruption Commission MACC announced that the Sarawak Chief Minister, Abdul Taib Mahmud, was under investigation for corruption. However, the Malaysian probe has hitherto failed to bear tangible results and observers are suspecting that the MACC probe might rather be a window-dressing exercise than a serious attempt to investigate and prosecute Taib for his numerous criminal activities. Both Canada and Malaysia are signatories to the UN convention against corruption that obliges its parties to efficiently combat corruption of public officials and to enable the recovery of potentates' embezzled public funds. What happened to MACC probe on Taib? Sarawak opposition believes that Taib Mahmud must clear his name in view of the latest German investigation into his family-linked business dealings. KUCHING: The Malaysian Anti-Corruption Commission (MACC) must release immediately details of its investigation into Chief Minister Taib Mahmud’s alleged abuse of power and corruption. The call comes on the heels of reports that the German Federal Financial Supervisory Authority (BaFin) has launched investigations into Deutsche Bank on account of its business relations with Taib’s family. Following several MACC reports lodged against Taib by PKR leaders and others, the MACC announced that it was investigating all reports made against Taib. The announcement, made on April 3, 2011 and before the state election, was apparently aimed at “appeasing” voters after opposition began flogging the issue. But little has been heard from MACC since despite demands by the opposition. “We are concerned with the results of the investigations. The MACC must be serious about it. “I hope the MACC will not wait until the next general election to make another announcement. Such an announcement will smell of a political agenda of the commission,” he added. Welcoming BaFin’s move, Baru also urged other countries to follow suit and pursue their investigations very aggressively and seriously. The countries he referred to include the US, Canada, Britain and Australia where Taib and his family have properties worth several billions of ringgit. The Bruno Manser Fund (BMF), which has been in the forefront against Taib and his family for abuse of power, corruption and money laundering, comfirmed the BaFin report and urged the German authorities to freeze Taib’s assets in Germany. Since 2004, Deutsche Bank has processed transactions worth several hundred million of euros for the Sarawak government and is engaged in a joint venture in Malaysia with the Cahaya Mata Sarawak Company (CMS) which is controlled by the Taib family. CMS and Deutsche Bank are the principal shareholders of the finance company K & N Kenanga Holdings based in Kuala Lumpur with its subsidiary Kenanga Deutsche Futures, an accredited broker at the Malaysian stock exchange. Meanwhile, state vice-chairman See Chee How, who was also present, called on Taib to clear his name. “If the allegations are not true, he can sue those concerned… this is a serious issue. The allegations made are against the leader of the state government. “We are all concerned… we want the MACC to speed up its investigations,” said See, who is the Batu Lintang state assemblyman. During the last sitting of the State Legislative Assembly, Taib declared that the allegations against him were not true. A bid by the opposition to debate Taib’s denial was dismissed. Who will trade with M'sia: Global probe on Taib a checkmate for Umno-BN? Back in June, the Malaysian Anti-Corruption Commisson released a statement that Taib Mahmud, the Chief Minister of Sarawak, was under investigation and that it was gathering information on him. This came hot on the heels of the actions by the Swiss Anti-Corruption Agency, which froze Taib’s assets in Switzerland. That was three months ago, and apparently, the sum total of all that the Malaysian authority has done so far. Since then, the MACC - supposedly modeled after Hong Kong's ICAC - has remained silent on its progress into the investigation launched into the 74-year old Taib, who has been dogged by allegations of enormous corruption against the people of his state throughout his 30-year-odd tenure. Prime Minister Najib Razak too appears to have forgotten his vow to the Sarawak people made during April state election to persuade Taib to resign his long-standing position as chief minister. 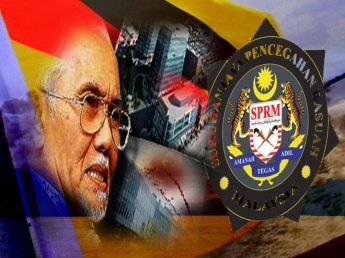 The MACC comes directly under his jurisdiction and if the MACC is silent on Taib, Malaysians and the world can guess that the PM is not keen to rock the boat for the Sarawak leader. 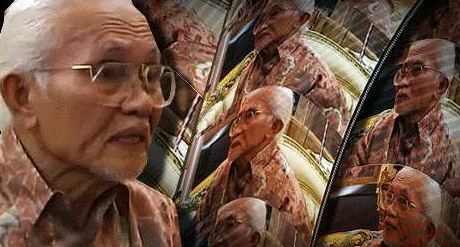 With his immense wealth, Taib has often been accused of buying his way into keeping a stranglehold on Sarawak, a state which is crucial to Najib and his Umno-party's ambition to retain their grip on the federal government . As long as Taib stays loyal to the ruling Umno-led BN coalition, only the naive would think that Najib or Umno would stand on moral high ground and demand a full probe into him. But the Federal Republic of Germany has no such qualms. It has become the latest country, after Switzerland, to announce that it is mounting corruption and money laundering investigations into Taib Mahmud. More countries are predicted to join the list as more governments start their own investigations into money laundering and even the use of international media to hide the obvious truth from an international audience. It is worth noting the size of Taib's fabled wealth. To be able to draw the attention of so many First World governments is a testament to the brave NGOs, such as the Bruno Manser Fund and Sarawak Report, which have fought tirelessly to tell the world how this Malaysian leader sanctioned by the Umno federal government could allegedly get away with so much illicit wealth at the expense of his people. In fact, so much so that it could be tracked in the global money-laundering trade, which must surely see trillions pass through in daily traffic. The BBC has already launched an investigation into the media relations company FBC Media that was allegedly paid by Najib and Taib to provide biased programming for consumption by global news audiences. Taib is alleged to have paid in the region of USD5 million to secure favorable programs about himself, broadcast during the period leading to and during the Sarawak state election. His critics had churned so much negative reports about him, some of his minders feared there could be repercussion as far as his overseas investments were concerned. Not so much as to get Sarawak voters to change their minds about him. For that he had a different solution, which his critics said was the mass vote buying that helped him secure his PBB party's 35 state seats. The German government latest move would further expose Taib and his empire of businesses that stretch across the globe. These latest investigations include the huge investments into the banking operations of K & N Kenanga Holdings Bhd, where Deutsche Asia Bank and Cahya Mata Sarawak (CMS), which is Taib’s family company, are among the biggest shareholders. A merger in 2001 between K & N Kenanga, then 30% owned by Deutsche Asia Bank and the controversial finance subsidiary of CMS, Sarawak Securities Sdn Bhd, gained the merged firm the status of Universal Broker from the Securities Commission, allowing it to trade equity, bonds and venture into investment banking. Separate questions have also been raised over an unusual bond issue brokered in 2005 by Deutsche Bank AG in Labuan on behalf of the State of Sarawak. The deal raised US$800 million through a private company, SGOS Capital Holdings Sdn Bhd, described as 100% owned by the State Secretary of Sarawak. The 10-year bond is backed by the State of Sarawak. With the new investigation already underway by the German government and also the one already launched by the Swiss Authorities, it is a surprise that the MACC is still stuck at the ‘gathering information’ stage since June 2011. Especially considering that it has home ground advantage. More than the voices of Malaysians, of which Najib, Taib and Umno are now openly contemptuous enough of to ignore, is the quiet but impactful ntoice taken by the world financial community. This will confirm the shenanigans of the Umno-led government and deal a fatal blow to foreign investor confidence in Malaysia. Is the MACC stalling for time? And in doing so, is it giving Taib and his advisers more time to think of a way out for himself? Will we now see a move by the federal government to demand a graceful exit by Taib as he promised during the Sarawak state elections? Given that Najib and Umno need Taib more than he needs them, these scenarios are unlikely to materialise. So, what will happen is a slow death for Malaysia through a quicker path towards bankruptcy as confidence in the country's administration grinds to a halt. lt is a given and to Malaysia's deep shame that both the Umno-led federal administration and the Taib state government will ignore the actions of these foreign financial authorities and continue their 'blind, deaf and dumb' modes. But for how long can it last. If found guilty, not just Taib but Malaysia will be put on the global blacklist of nations that actively indulge in money laundering. Who will trade with Malaysia then? Checkmate for the Umno-BN! (BERLIN / BASEL) In its capacity as the supervisory authority for “financial institutions in respect of money laundering legislation”, Germany’s Federal Financial Supervisory Authority (BaFin) has launched investigations into the Deutsche Bank on account of its business relations with the Malaysian Taib family. This has been confirmed by the German Federal Ministry of Finance in response to an enquiry by the Bruno Manser Fonds. The Bruno Manser Fund welcomes the investigation and is calling on the German federal government to freeze any Taib assets in Germany. In addition, the Fund is demanding complete transparency from Deutsche Bank with regard to its dealings with the Taib family and the termination of its business relations with the Malaysian potentate, who has gained a bad reputation worldwide. In a letter to Federal Chancellor Angela Merkel, the Bruno Manser Fonds, the Hamburg “Rettet den Regenwald”(Rainforest-Rescue) Association and the Society for Threatened Peoples drew the attention of the German government to the Deutsche Bank’s close business relations with Malaysian potentate Abdul Taib Mahmud (“Taib”) and demanded that any Taib assets in Germany be blocked. Since 2004, Deutsche Bank has processed transactions worth several hundred million euros for the Sarawak government and is engaged in a joint venture in Malaysia with the Cahya Mata Sarawak company (CMS), which is controlled by the Taib family. CMS and Deutsche Bank are the principal shareholders of the finance company K & N Kenanga Holdings, domiciled in Kuala Lumpur, with its subsidiary Kenanga Deutsche Futures, an accredited broker at the Malaysian stock exchange. The CMS construction conglomerate essentially lives off assignments that are awarded by the Taib government without public tenders. CMS thus benefited greatly from the construction of the disputed Bakun dam and has a ten-year contract for maintaining the entire road network in Sarawak, Malaysia’s biggest federal state. With the German government’s announcement, the Malaysian potentate, who has been in power since 1981, is now at the centre of an investigation for the third time within just a few months. In May 2011, the Swiss Financial Market Supervisory Authority, FINMA, announced an investigation into any Taib assets in Switzerland, at the instigation of Swiss President Micheline Calmy-Rey. At the start of June, the Malaysian anti-corruption commission MACC announced that proceedings had been launched against Taib on account of corruption. Observers reckon that, during the three decades of his rule, Taib has amassed a fortune of several billion US dollars through his abuse of office and corruption. Since 1981, Abdul Taib Mahmud has concurrently held the three posts of head of government, minister of finance and minister of natural resources for Sarawak, Malaysia’s biggest federal state. Taib is regarded as holding prime responsibility for the extensive destruction of the tropical rainforest of Sarawak on Borneo. Just recently, former British prime minister, Gordon Brown, described the destruction of the Sarawak rainforest as “probably the biggest environmental crime of our times”. Since it was established in 1991, the Bruno Manser Fund, which was set up by Swiss rainforest advocate, Bruno Manser, who later went missing, has been committed to fighting the clearing of the rainforests of Sarawak and the corruption of the Taib government. A paraglider flight by Manser in 1999 onto the Kuching residence of Sawarak’s head of government, Abdul Taib Mahmud, caused a great stir. At the end of 2004, Deutsche Bank refused to continue running a donation account for the Bruno Manser Fund that it had held at the bank’s Lörrach, Germany, branch for many years. The bank terminated its business relations with the Swiss association citing its General Terms and Conditions. Despite the Bruno Manser Fund contacting Deutsche Bank CEO, Joe Ackermann, a Swiss national, the bank stuck to its decision: “There is a reason for this decision. But no one will tell you what it is”, is what a spokesman of Deutsche Bank said to the Bruno Manser Fund at the time. The Bruno Manser Fund assumes that the account was closed out of consideration to the close business relationship between Deutsche Bank and the Taib family. The Federal Court unanimously dismissed 2 appeals on the 8th September 2011 involving several indigenous communities affected by the Bakun Dam (1. Bato Bagi & Others V State Government of Sarawak) and a proposed pulp mill factory in Tatau (2. Jalang Ak Paran v State Government of Sarawak & Another). The appellants were granted leave to appeal to the Federal Court on whether Sections 5(3) and (4) of the Sarawak Land Code (the sections of the code dealing with the extinguishment of NCR land) are inconsistent with the provisions on fundamental rights within the Federal Constitution in particular Article 5 which is “right to life”. The 3 judges’ panel comprises of the former Chief Justice of Malaysia, Tun Zaki, the Chief Judge of Sabah & Sarawak, Tan Sri Richard Malanjun, and now the President of Court of Appeal, Tan Sri Raus, unanimously dismissed the appeal but on different grounds. Tun Zaki and Tan Sri Malanjun were of the agreement that there were not enough materials before them to answer the constitutional question above. They added that this only left more room for the question to be addressed at another forum before the Federal Court. Speaking for myself as one of the Counsels for the appellants in these two cases and being involved in defending this NCR in more than one hundred cases in the High Courts, I was very hopeful to have a historic judgment but that did not materialized. Nevertheless, notwithstanding the said decision there is still a bright light at the end of the tunnel especially in the obiter or the observation made by the Chief Judge of Sabah and Sarawak Richard Malanjum who said that Section 5 of the Land Code, Sarawak, appears to give a very wide power to the relevant Minister to extinguish all customary land rights just by a stroke of a pen. He also commented that compensation for the loss of native customary rights should not be merely a monetary form but should include other factors as well. Of a concern to us who are natives is this; that any extinguishment of NCR land in Sarawak must be consistent with international requirements; for example those that are stated under the United Nation Declaration of Rights of Indigenous Peoples (UNDRIP) which requires a “free, prior, informed, consent” approach before their NCR is extinguished. Although we failed in this appeal, I hope the State Government of Sarawak would consider the observation made by the Chief Judge for Sabah and Sarawak Tan Sri Richard Malanjun in amending Section 5 of the Land Code to put in some safe guards in the said provisions and to look into the aspect of what amounts to “adequate compensation” in extinguishing NCR land in Sarawak. If this is not done, I am proposing to the natives of Sarawak that there is only one way to go now; go for a political change both at the Federal and State Governments. I say so, because through my experience journeying this legal road for the last 20 over years to seek justice for the natives of Sarawak, it appears too winding and time consuming. A direct and a speedier option now is the “political road to justice”. I know many of our friends and supporters, natives or non-natives, were disappointed with the said Court’s decision. If you are, I hope and pray that you would agree to rise today and walk with us through the direct and speedier political road to justice. One of the lawyers for the Sarawak natives in Thursday's Federal Court decision denied that they had failed to sufficiently address the issue of unconstitutionality of the Sarawak Land Code. Baru Bian, who is also Ba'Kelalan assemblyperson in Sarawak, believes it was Chief Justice Zaki Azmi's and Chief Judge of Sabah and Sarawak justice Richard Malanjum's own opinion not to give a ruling on the constitutional question when such issues had been dealt with in court. "I believe we have addressed the issue of the unconstitutionality of the land grab. I personally think they were evading the practical problem on the ground whether section 5(3) and (4) of the Sarawak Land Code should be nullified," he told Malaysiakini. On Thursday, both Zaki and Malanjum did not give their decision on the question of unconstitutionality of the Sarawak Land Code in the Bato Bagi and Jalang Paran suits against the Sarawak government. The question posed before the court to be decided was "whether section 5(3) and (4) of the Sarawak Land Code relating to the extinguishment of native customary rights are ultra vires of Article 5 (right to life) and Article 13 (right to property) of the federal constitution." Zaki, in his 15-page judgment, said the issue of unconstitutionality as pointed out by justice Malanjum were not raised or properly canvassed before the court. Malanjum, who was the first of the three-member Federal Court panel to read his judgment, said that there were limited submissions before this court (on unconstitutionality of section 5(3) and (4)), and there was no need for him to answer the question posed. "To do so would be unfair not only to this court but to the parties as well. I think that such an important issue is best left to another occasion when it is fully ventilated instead of being made just a side issue," he said. The chief judge of Sabah and Sarawak went on further to say that the facts and circumstances of these cases should also be taken into account. "For instance, in the Bato case, the compensation money was agreed and accepted by them. They did not go for arbitration. They did not even accept the compensation under protest. "Further, the land in question is now under water upon the completion of the Bakun dam. There is no question of returning it to them," he said. Meanwhile, Federal Court judge Md Raus Sharif, who is the incoming Court of Appeal president, was the only judge who ruled on the question when he decided the land grab was constitutional. Baru said it could be the opinion of the judges that there were no submission before them. "In fact, there were oral and written submission on the matter made before the panel. But we have to respect the decision since they are the judges," he said. "We will have to wait for other cases to come before this court for this question to be answered. There are many pending - about 100 (cases) of them," he pointed out. Sahabat Alam Malaysia representative Mohideen Abdul Kadeer said if the judges felt there were not enough submissions on the unconstitutionality question, they should have asked the lawyers to produce them. "They can stop the parties during submission and clarify as to why such issues were not brought up. The judges should not wait until the decision is made," said Mohideen. Law professor Abdul Aziz Bari has yesterday described the two top judges' action, in not answering the constitutionality issue, as an abdication of their oath of office which they took before the Agong. Multi Racial: Our courts are just too predictable. We know who they favour even for those obvious cases. How are we going to find justice? I suppose the true colour is finally out for Chief Justice Zaki Azmi. It was good for him to speed up clearing the back log in court cases. But that was merely form. What we care most is the substance, and the substance is about the integrity of the court and whether justice is serve. I suppose there are just too many cases decided unfairly by the courts. As a result of that, the majority of people don't think highly of judges. Well, you can't blame them for perceiving this way as justice is not just about doing it right but also be seen to be doing it right. But is the perception fair to all the judges? My answer is no. There are good judges such as Md Raus Sharif and Abdul Aziz Abdul Rahim, both of whom acted without fear and favour. We hope those like them represent the majority in the judiciary. Tailek: It is disgraceful that our two most senior judges sworn to uphold the constitution and protect the rakyat's rights have abdicated their responsibility. And to add insult to injury, the government changed the law specifically so that the chief justice can get full pension after serving as a senior judge for only three years instead of the required 15 years. What is this country coming to? Onyourtoes: Is this not what we learned in Constitutional Law 101? And yet Zaki has retired with the pension law amended for him. I think it is not that they do not have a good reason to decide on the constitutionality of this case; I think they just want to leave it open for future use, depending on the different parties involved perhaps. PendatangMalaysia: In substance, the judiciary is a department under the PM's Department. On issues of importance, it will side with the BN government, the powerful and the rich. This is amply demonstrated in this case and in many other cases. The red carpet treatment given to Zaki is another example of the subjugation of the judiciary by Umno. Was it any surprise that the court ruled the way it did? Tailek: Instead of going out with a bang, the CJ Zaki went out with a whimper. Instead, the proposed Baleh Dam, in the neighborhood of Murum and Bakun dams in the Kapit division, is to be built first. The question posed before the court was "whether section 5(3) and (4) of the Sarawak Land Code relating to the extinguishment of native customary rights are ultra vires Article 5 (Right to life) and Article 13 (right to property) of the Federal Constitution." "Under the Federal Constitution, the Federal Court which is the highest court of the land is essentially the constitutional court of the country; the main tribunal whose major duty is to take care of the constitution," he said. Abdul Aziz (left) pointed out that their refusal meant that they had failed to fulfill their oath when taking office by saying "I will faithfully discharge my judicial duties in that office to the best ability, that I will bear true faith and allegiance to Malaysia, and will preserve, protect and defend its constitution." "It is the duty of the judiciary to declare the rights of the citizens, being custodial of justice," he said. "The decision, despite ruling that the deal was legal, did not base it on the constitution; something that the court was asked specifically by that aggrieved group of citizens. The court must decide, one way or the other, how it sees the issue. It cannot leave the matter open like it did today(yesterday)," he emphasised. He noted the project itself is essentially "an environmental disaster". "When the then Supreme Court was asked to decide on the constitutionality of Malaysia's formation way back in 1963, the court at that time headed by Chief Justice Thomson (an expatriate), ruled in Tunku Abdul Rahman's favour. A United States paper has also described the court as the least powerful of the three branches of executive, legislature and judiciary." "So the people have to decide what to do next; the battle in court is obviously over." “There seems to be a kind of politics or manoeuvring here,” observed Abdul Aziz.